Hundreds of thousands of Rohingya refugees have crossed the border into Bangladesh after fleeing targeted violence in Myanmar. 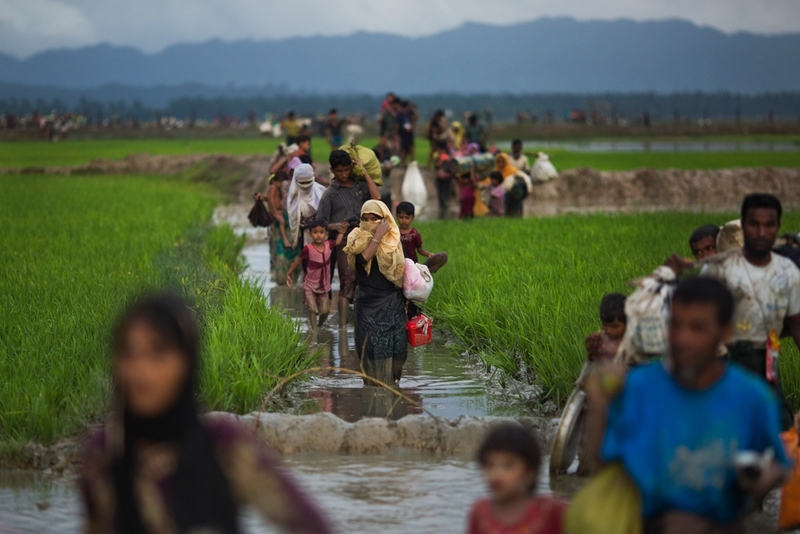 Since 25 August, Médecins Sans Frontières (MSF) has treated over Rohingya 60,000 patients and established water and sanitation facilities in makeshift refugee settlements. MSF Doctor Ian Cross has recently returned from Bangladesh, where he provided emergency healthcare at MSF’s largest health clinic in the area. Please join us as Ian reflects on his work, shares testimonies of his patients and conveys the urgent humanitarian needs of the Rohingya people. Dr Ian Cross worked at the MSF Kutupalong health clinic, MSF’s largest facility dedicated to providing healthcare to refugees in the area. The clinic includes a 24-hour emergency room, inpatient and outpatient facilities, sexual and reproductive healthcare services and a mental health department. “We’ve brought in additional nurses, midwives and doctors to provide assistance but our medical facilities are overwhelmed. This is one of the worst emergencies I’ve been involved with."